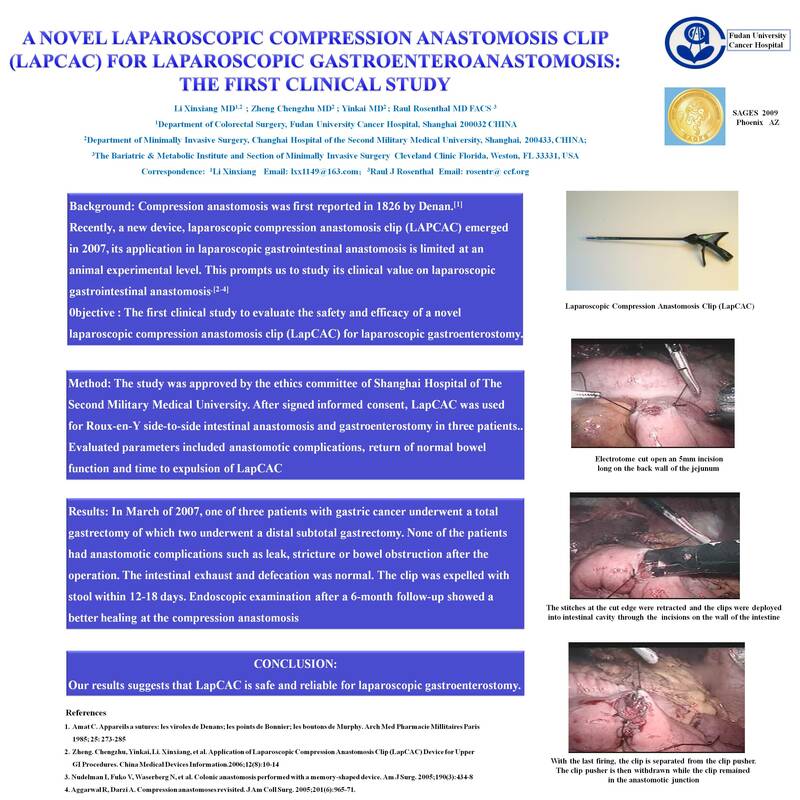 The first clinical study to evaluate the safety and efficacy of a novel laparoscopic compression anastomosis clip (LapCAC) for laparoscopic gastroenterostomy. The study was approved by the ethics committee of Shanghai Hospital of The Second Military Medical University. After signed informed consent, LapCAC was used for Roux-en-Y side-to-side intestinal anastomosis and gastroenterostomy in three patients. Evaluated parameters included anastomotic complications, return of normal bowel function and time to expulsion of LapCAC. LapCAC is safe and reliable for laparoscopic gastroenterostomy.